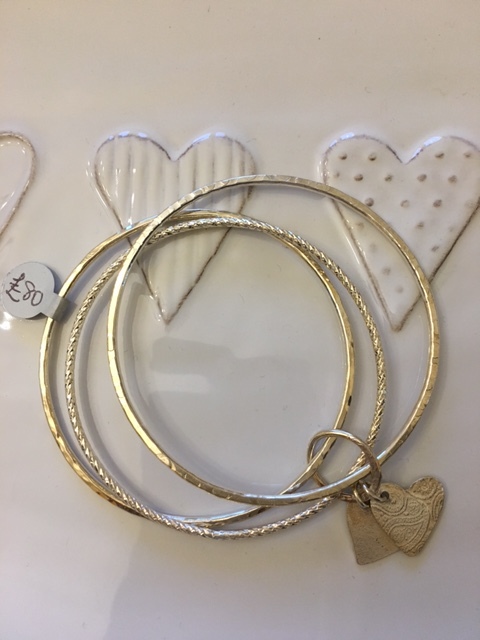 A set of 3 textured and patterned sterling silver bangles which have been joined by a hand-formed jump ring, onto which 2 sterling silver heart charms dangle. Each heart charm is approximately 1.5 cms x 1.5 cms and the bangles have a diameter of 6.5 - medium. The set is hallmarked by the London Assay Office.